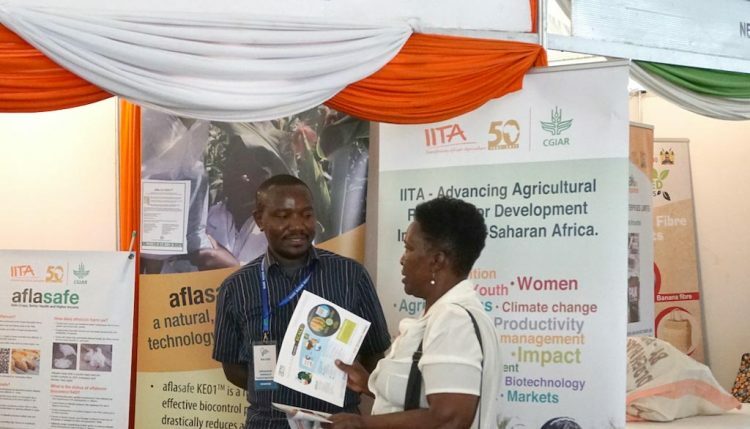 For the second time in a row, IITA took part in the Nairobi Innovation Week that took place 5-9 March at the University of Nairobi. The Innovation Week has become a flagship program in Kenya that attracts over 2500 delegates from within Kenya and beyond. The event brought together partners from government, the private sector, the development sector, and research centers with the aim of providing a platform for showcasing and encouraging innovations. This year, IITA was a strategic partner alongside organizations such as the Africa Development Bank (AfDB), UNICEF, UNESCO, the Finish Embassy, Barclays Bank, IBM, and relevant government ministries. Researchers from IITA took part in a one-day forum organized by the Finish Embassy and the Food Africa program that looked at initiating a strong dialogue on a “shared value”/sustainable development approach in relation to food security among all actors, but especially between academia, research, and the private and public sector in Africa. The session looked at how the shared value concept can create social impact, its benefit to academia and the private and public sectors, and how sustainable and shared value partnerships can be created in East Africa. The event brought together a cross-section of actors in agriculture from academia, research, development, the private sector, and policy makers to create a common understanding of shared value from different perspectives and to deliberate on these issues. Creating a shared value concept places emphasis on the involvement of the private sector in efforts to address food security but in a way that promotes a win-win solution for all the players, said Mrs Tarja Fernández, Ambassador of Finland to Kenya, while delivering the welcome remarks. Participants from IITA included Victor Manyong, IITA hub Director for Eastern Africa; Fred Kanampiu, N2Africa Project Coordinator, and Danny Coyne, IITA Soil Health Specialist. 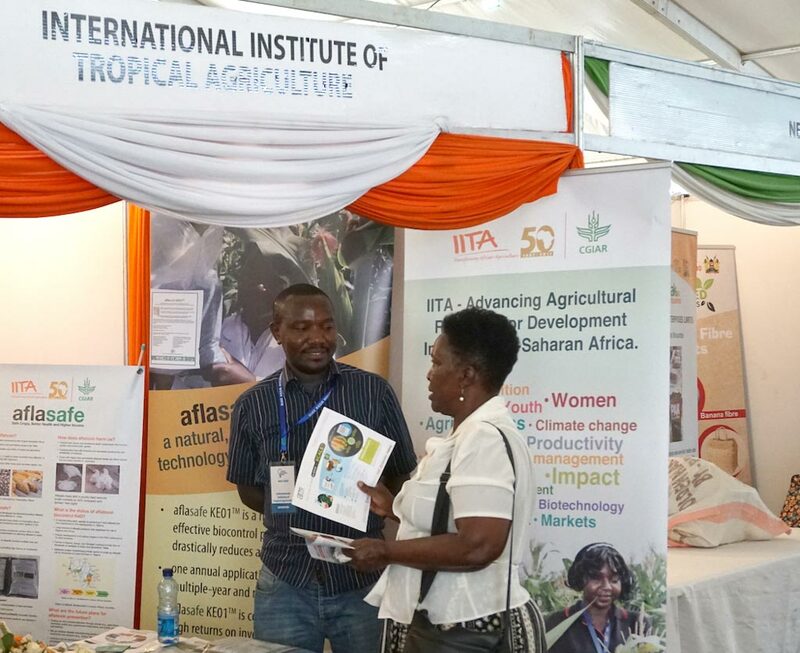 IITA also took part in Nairobi Innovation Week exhibitions and showcased some innovations in agriculture. These included aflasafe, the biocontrol solution to addressing aflatoxins by the ATTC team represented by Edwin Nyabiba, Business Development Specialist for Kenya. The ACAI project shared its innovations in promoting good agronomic practices for cassava including mobile applications being developed. IITA Youth groups from DRC, Kenya, and Tanzania also exhibited various products. Visitors admiring products by youth agripreneurs. IITA also organized a half-day side event to explore challenges and opportunities around youth in agriculture in partnership with the International Potato Center (CIP).